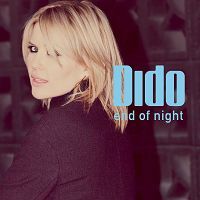 The song Dido - End of Night is professional recreation. It is not by the original artist. Don't Believe In Love Dido Your browser does not support the audio tag. Don't Leave Home Dido Your browser does not support the audio tag. End of Night Dido Your browser does not support the audio tag. Here With Me Dido Your browser does not support the audio tag. Life for Rent Dido Your browser does not support the audio tag. No Freedom Dido Your browser does not support the audio tag. White Flag Dido Your browser does not support the audio tag.